Let it go. Let it float down the Nile. Sing an impassioned spiritual for it. Swaddle democracy in a cute leather blanket. Place it gently in a basket woven by the finest underwater basket weaving overachievers in a junior college yet to be determined. Let the basket be constructed by 18-year-old “voters” to signify the silliness of allowing unmeritorious teenagers help decide the political future of an entire nation. As we wave goodbye to that last great defender of political ignorance, let us harken back to why democracy has failed. Exactly how many 18-year-olds can hold their own in a debate about tax reform, or the basis of Herman Cain’s 9-9-9 tax plan, or even recite the difference between oligarchy and aristocracy? How many people, young or old, even understand the complexities of Congress? Is the United States even a legitimate constitutional republic? Do they think the executive branch is simply the highest piece of wood on a tree? How can we seriously allow those with a third grade education in politics vote, when our politicians have a first grade understanding of it? People vote not on ideals, or rational tendencies, but through their emotions, through their ability to see themselves in their president, and to identify with someone who exhibits the right “qualities” for election, strutting about as they critique his elegance, his winning smile, his wife’s dress. All the while, they ignore the blatant aspect of a candidate we truly need to analyze, his aptitude for leadership, his brilliance in commanding, his altruism in helping others. We have fallen in love with appearance instead of merit. We have American Idoled the political process. Now we must remove it. It’s time we slay the dodo. It’s time we put on our hard hats and rid the environment of the evolutionary challenged. Nothing could be clearer than that the dodos in Washington were ignorant when they chose to allow the impending danger of the fall of capitalism happen on their short-sighted watch. Were the birds squawking in protest when the economy did a face-plant into the pool of recession? Or were they on the ground pecking at the fruits of others’ labor, lost in the fact that the national debt was the real predator looking to feast on these idiots, and looking up to the same predators (or bankers as they are called)? Bankers handcuffed everyone with their ineptitude, for the answers to the problems the bankers themselves furnished: with their literal furnishing of the offices they met in secret to put those “great” minds to work to come up with the ingenious plan to fail spectacularly. Of course as usual their real genius was in making others pick up the cleaning supplies to mop up the mess these pigs made as they went head first into the money trough. Democracy in many ways reminds me of the now extinct dodo bird. 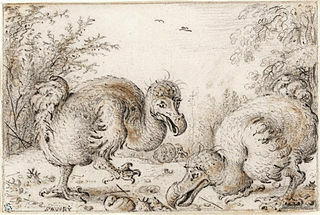 Many of us have heard of the dodo bird—a flightless bird, once thought to be stupid and inept (gee, sound familiar? ), easy pickings for the real predators they so blithely ignored. They were found to be fearless, evolving without a natural predator to keep them on their toes, to teach them about struggle, resourcefulness, iron will, and the constant need to get better and redefine themselves as competition required—a challenge that Meritocracy embraces fully. Virtually everything about democracy is a sham. Every four years a figurehead is given the Emperor in New Robes treatment. Technically, though, he is only part of a three-headed government kept in check by (you guessed it) checks and balances. The greatest thinkers in history frowned upon democracy. Democracy leads to a dictatorship, as Plato said, and Rousseau considered it a stepping stone, or something that keeps you warm at night until the sun rises. It’s never meant to last, though. It gives rise to the super dodo, or in our case, the super rich. These fearless, clumsy, ignorant, flightless, bipeds roam the environment as if they are kings, when in reality they are as ill-equipped to exist as the dodo. No one needs them. All it takes is for true Meritocrats to step in, and the fearless predators will simply continue that graceful trek to irrelevance. Whose vote is more valuable in determining policy and choosing apt public servants? Paris Hilton’s, or Marie Curie’s? The vote of someone of prestige, with a rich background, as smart as the puppy she carries along with her, or that of a brilliant, hard-working, chemist with loads of merit? In a democracy, the vote of those two would account for the same result. In reality, thanks to Paris’s last name, her vote, ironically, would hold more merit than Marie Curie’s metaphorical vote. This is the destiny of democracy—ripe for dodos, literally and figuratively, providing the fluid for lazy, fearless idiots, blundering along in all their graceful stupidity. Their only recognizable quality is making themselves look good by distracting the common voter with tales of nonsense and pipe dreams, and figuring out the next charismatic “leader” ready to whip the masses into a frenzy with a voice devoid of all rational thought and criticism, and filled with rainbows and lollipops. We have embraced an ersatz political system. It’s time we sent democracy to its final resting place, a lush place in the dusty bins of history. It’s time it were replaced by a system of governing by the most intelligent, hard-working, altruistic individuals. Meritocratic Democracy. The End of History.